Our certified day care teachers turn in lesson plans every Monday covering Literacy, Early Mathematics, Social-Emotional and Physical Development. Kinderland’s educational day care center consists of seven different classrooms which enables us to group your child with other children of similar ages and abilities – from infant to preschool to kindergarten and beyond. All classrooms offer high quality curriculum programs for each child in keeping with our standards as an exceptional educational child care provider. Teachers help build critical brain development through daily interaction with the babies in our infant child care center. They read books, sing songs, learn finger plays, and do art projects such as finger painting. They play outdoors when weather permits. Infants practice age appropriate skills such as rolling over, crawling, and walking. Older infants are introduced to colors, shapes, numbers, and letters. The Transition day care classroom helps each child prepare for preschool as the children continue learning about colors, shapes, numbers, and letters. Toilet training is an essential component of the curriculum. 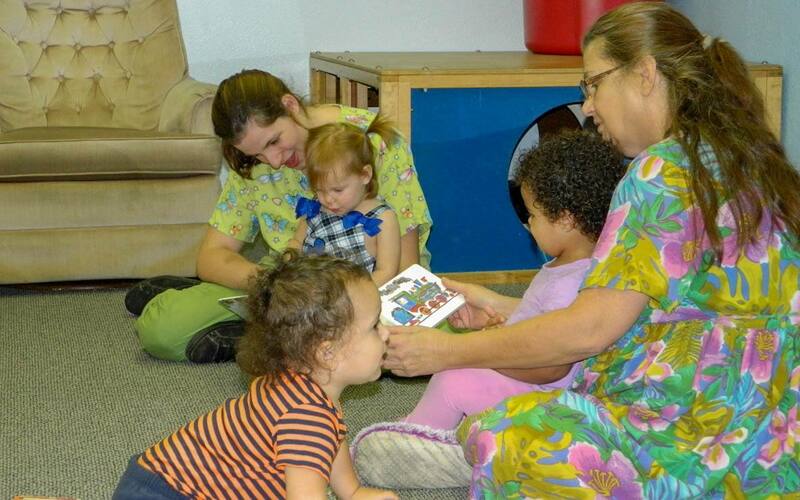 Group times are a little bit longer, and our day care teachers read daily to the group. In our Preschool day care class, the instruction of letters and numbers becomes more formal. Children begin to learn what the letters look like and what sounds they make. They learn to count objects instead of just counting. Weekly and monthly themes make learning more fun for your child. All children who will begin Kindergarten the next school year are moved from the Preschool to the PreKindergarten day care class at one time in September. Children practice sitting for longer group times, and they receive more formal instruction in reading readiness, pre-math concepts, and science activities. Instruction is done through weekly themes. School age children attend after each school day and on school holidays. During summer vacation, children go to the movies weekly. Incentive programs include earning Kinderbucks and spending them weekly at the store. GEMS (Great Expectations in Math and Science) kits are widely used during the summer along with other theme work.